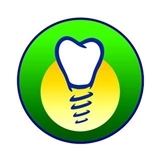 NW Dental Group (Garland) - Book Appointment Online! Welcome to Northwest Dental Group! Our office offers a full range and the highest quality of dental care for adults and children in a comfortable atmosphere by using the latest dental technology for treatments. At Northwest Dental, we provide a broad spectrum of dental services including family, implant, and cosmetic dentistry to our patients that will fit their budget and dental needs. Our goal is to build trust and long term relationships with our patients. We are committed to helping our patients achieve a healthy and beautiful smile that will last a lifetime. Dr. Lam did a great job with my son. He was upset about having to get the dental work he needed but Dr. Lam talked him through the procedure and made him feel comfortable.